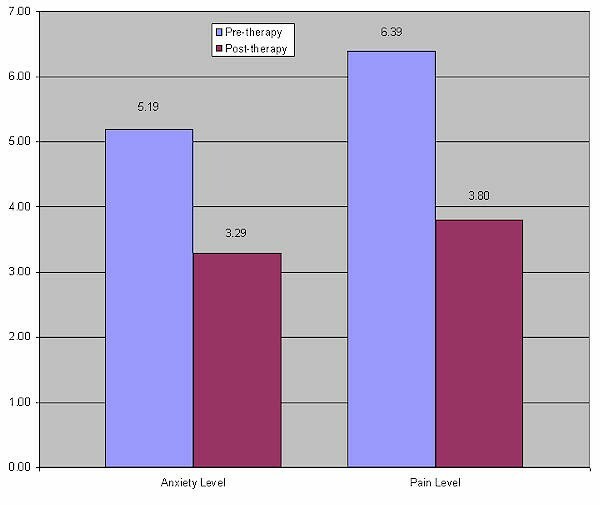 During program development, patient outcome measurements were obtained for Art for Healing, and both employee and patient outcome measurements were obtained for Massage Therapy, and Reiki. These outcomes show that patients and employees have responded very positively to these therapies. Pain, anxiety and nausea were reduced, their ability to sleep improved, and the likelihood of patients choosing Hartford Hospital for future admissions increased. 100% "professional", "able to answer questions" & "caring"
98% "able to answer questions"
Following this service, did your sleep improve? Following this service, was your nausea reduced?